Enjoy industrial chic outdoor living from the comfort of this distressed wicker rattan recliner. 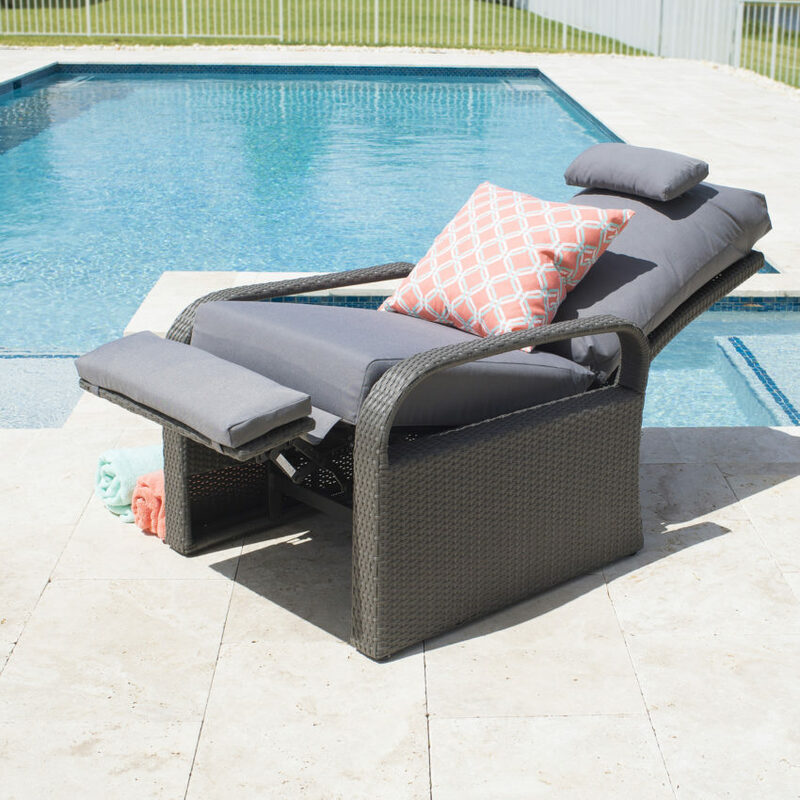 Designed to withstand the elements and be weather and water resistant, this beautiful piece of outdoor furniture features two matching grey cushions. So sit back and relax in contemporary style. Fully reclining Seat, Adjustable Position with Gas-Lift/Hydraulic Mechanism. Water UV Resistant Grey Cover Cushions in Polyester, Weather Resistant Synthetic Wicker Rattan, Aluminum Frame Powder Coating. This product ships: one (1) recliner in one (1) box. Weather resistant synthetic wicker features UV protection to keep its color and shape all year long. A damp cloth is all you need to keep your product looking beautiful use after use. Avoid the use of any abrasive cleaners and power washers. Clean fabric immediately if spill occurs. To minimize the fading effects and extend the vibrancy of the fabric it is recommended that outdoor cushions and pillows be stored in a deck box or covered when not in use.